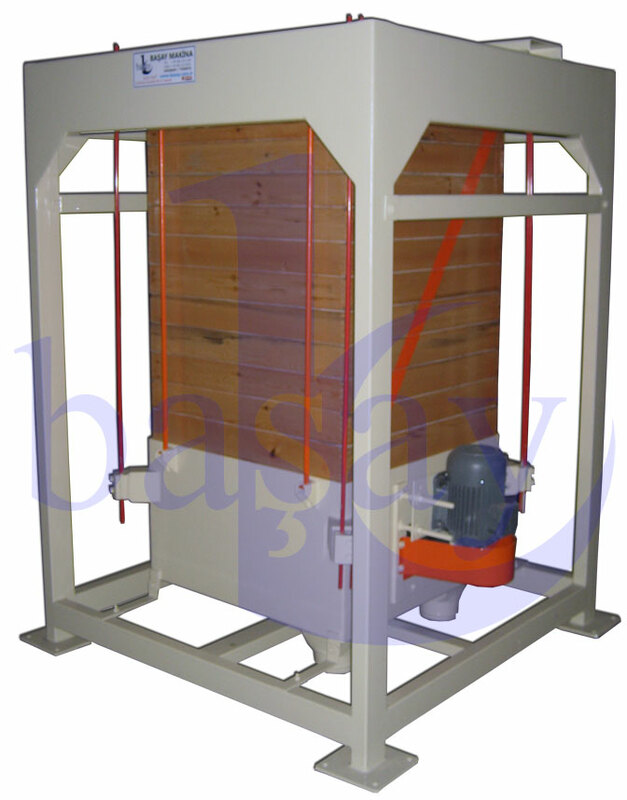 BAŞAY - Plansifter - Baserler Pazarlama Makina Imalat Sanayi ve Ticaret Ltd. Sti. Consists of two section with 11,14 or 16 layers each. Self cleans modules as it works. 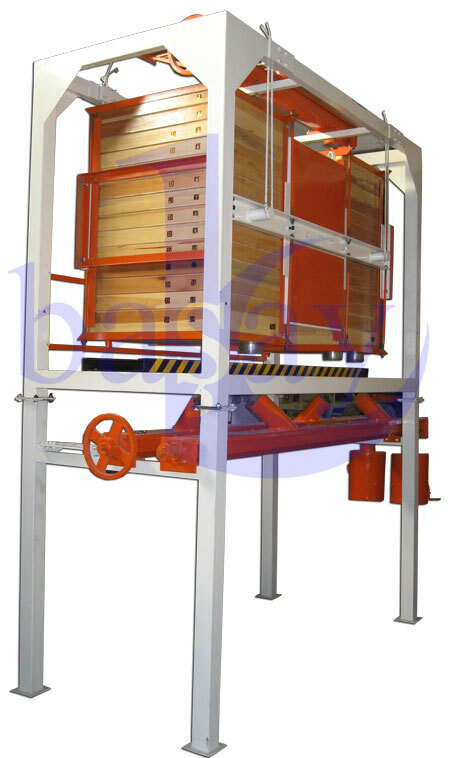 After product is processed within sieve, it exists from 2 or 3 holes that help to separate flour and bran. 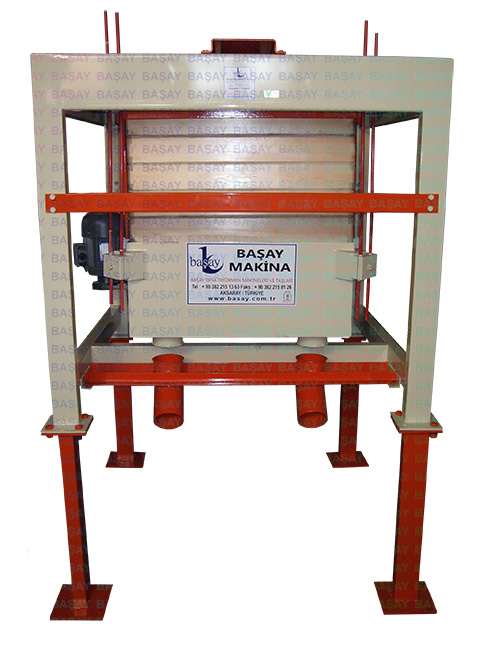 Rocking rate can easily be adjusted by specally desgined iron weights. The more iron weights get closer to central axis, the less vibration you get. 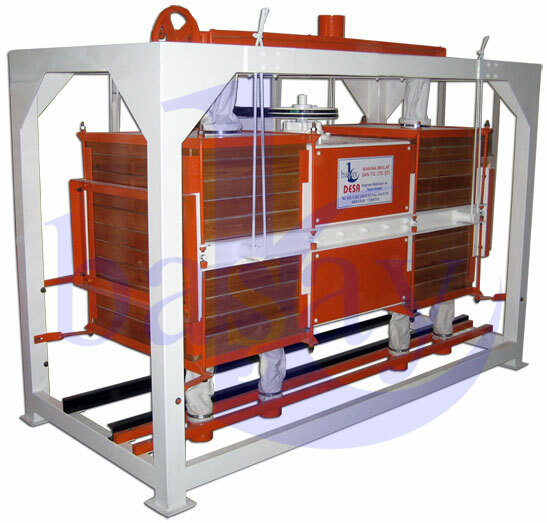 It can be used as control sifter. Can have 3 or 2 outlets.